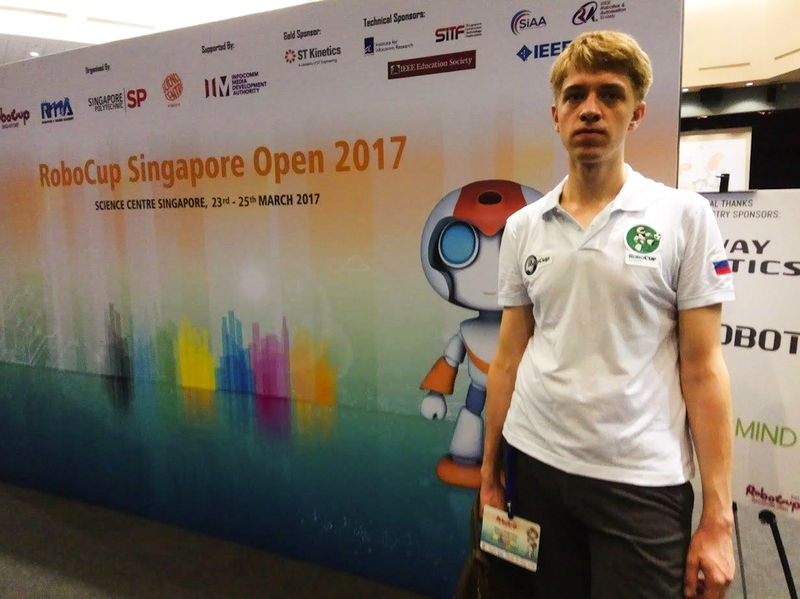 On March 23 – 25 Vitaly Vasetsky, a student of the TUSUR Faculty of Computer Systems, participated the in the RoboCup Singapore Open as the first Russian player in the new CoSpace Rescue league. 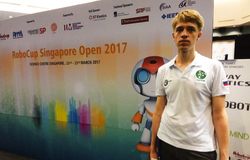 This league was first listed as a RoboCup event in 2016. 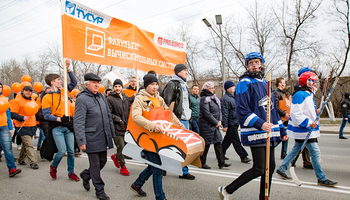 This year, the CoSpace Rescue challenge will be included in the RoboCup Russia Open 2017, to be held in Tomsk within the framework of the U-NOVUS Forum. 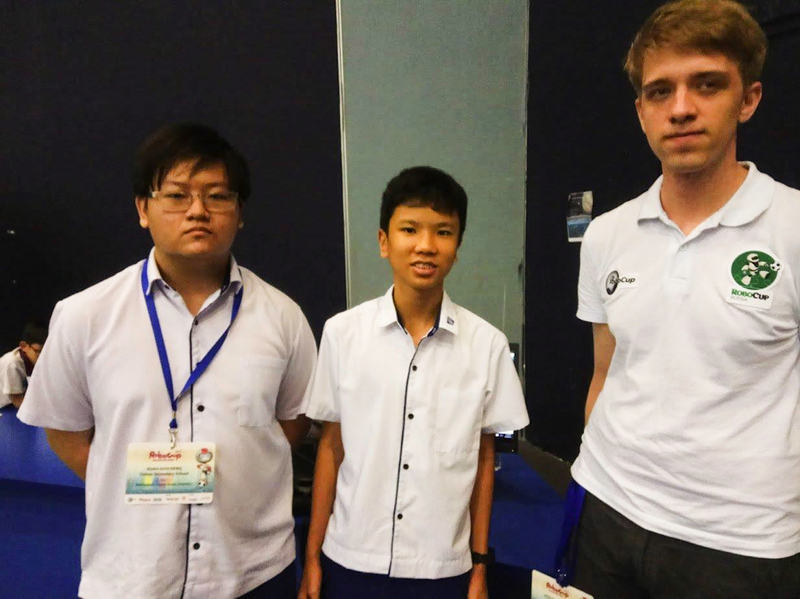 Initially, the CoSpace Rescue league was an experiment of the Singapore branch of the RoboCup movement which was in 2016 expanded to other RoboCup Junior leagues. 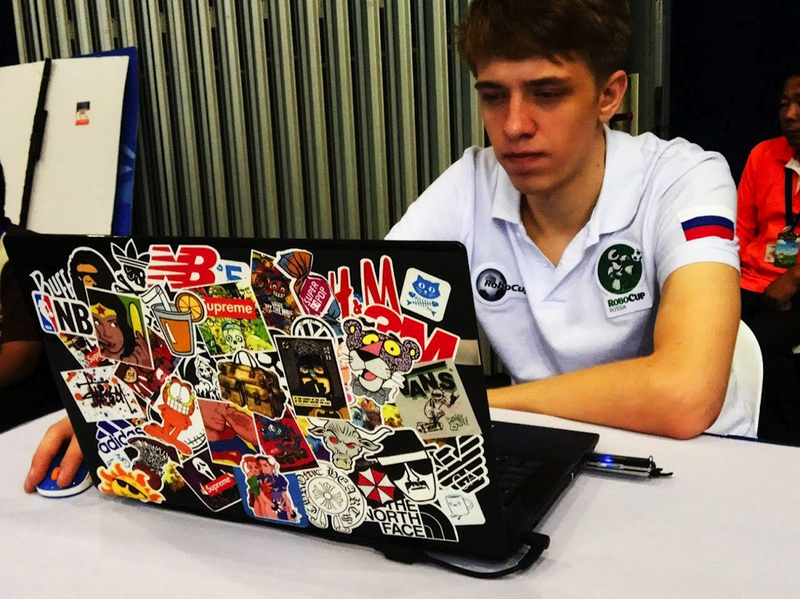 Participants of the RoboCup Junior CoSpace Rescue challenge are tasked with developing software for virtual and hardware robots. 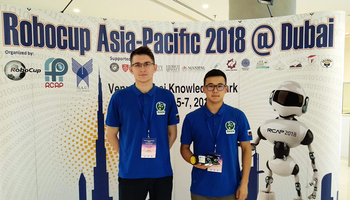 TUSUR is the only Russian university with experience in the new RoboCup league: Vitaly Vasetsky has already participated in the CoSpace Rescue challenge in the fall of 2016 during the Pre-RoboCup Asia-Pacific Competition and Workshop in Beijing, which was held within the framework of the World Robot Conference. 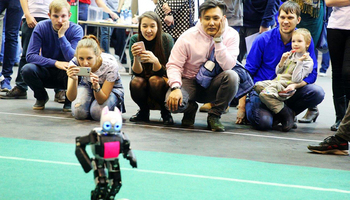 Au the upcoming RoboCup Russia Open – 2017 in Tomsk, the CoSpace Rescue challenge will be a Junior league event, along with the traditional Soccer, Rescue Line and OnStage events. 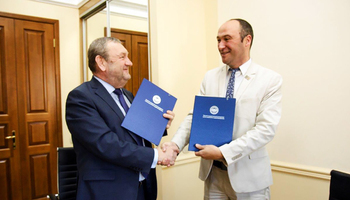 RoboCup Russia Open will serve as a qualification round before the RoboCup World Final in Nagoya (Japan).